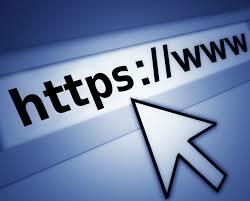 Today we’re gonna be discussing on internet security, preferably, tips to securing your website from malicious attacks. What are the ways of securing a website? Do You Really Think Securing Your Website Doesn't Worth? You may be thinking that hackers or rather attackers can't consider your website as one of their relevant tool. Let me tell you, no website is useless to hackers. You may not have those sensitive info attackers are searching for but your server might be useful to them as it can be used to spread spam, malicious files or even bitcoin mining. Are you surprised? And if you are running an online store, then your customer’s sensitive info might be at risk if all you do is selling online without paying little of your attention to your website’s privacy and security. Using a website scanner will help search for vulnerability threat and other issues running in your website’s background. There are different kind of Website Scanners, we have the; external, internal and penetration malware scanners. An external malware scanner functions similarly to search engine bots, they come into a website and crawl every web pages in search for malware or any malicious link available. Meanwhile, internal malware scanner will only read your website’s source code. This is because, hackers can eventually inject bad scripts into your database using any HTML Form Field element available on your website, for example, a login form. Such practice is called SQL Injection by which hackers can access either your personal/sensitive information or your customers’, modify your content or even bring down your website standard. Penetration testers on the other hand, searches for weakness or loop hole in your website’s source code. You shouldn't be told this before you act. You should learn to make it a duty by subsequently checking for updates of your employed software -What am I talking about? I mean the software you employed on your website such as CMS and your server operating system. Updating these software will eventually block or repair any security breach initially present so hackers won’t be able to break into your website. This is compulsory for every website owner as an automated website scanner will unintentionally get rid of threats from your website immediately they are detected. Secure your server ports preventing unauthorised users from accessing your site.